Ectothermic vertebrates belonging to the class Amphibia are collectively known as Amphibians. The term "ectothermic" means the physiological heat sources of these animals are insufficient for maintaining the proper body temperature. Amphibians belong to the superclass Tetrapoda or tetrapod. Frogs, toads, salamanders, newts and caecilians are different animals in the Amphibia class. The term Amphibian was derived from the Greek term "amphibious", which means "both lives" or "two lives" ("amphi" meaning "both" and "bios" meaning "life"). This name refers to the fact that many Amphibians have two lives _ the larval stage spent in water and the adult stage spent mainly on land. The first major Amphibian groups evolved from the lobe-finned fish approximately 370 mil years ago, during the Devonian period. The lobe-finned fish, resembling the modern lungfish and coelacanth, had undergone evolution to develop multi -jointed leg-like fins having small digits that helped them in crawling along the seabed. Some fish also developed lungs in order to survive in oxygen-deprived Devonian lakes and swamps while their strong fins helped them to get onto dry land if the water climate became hostile. Eventually, the strong bony fins of these creatures evolved into limbs, making them the ancestors to all tetrapod species. Ichthyostega was among the earliest primitive Amphibians, having nostrils and comparatively efficient lungs. The animal had a distinct neck, four strong limbs and a tail covered with fins. Its skull bore great resemblance to that of Eusthenopteron, a type of lobe-finned fish. 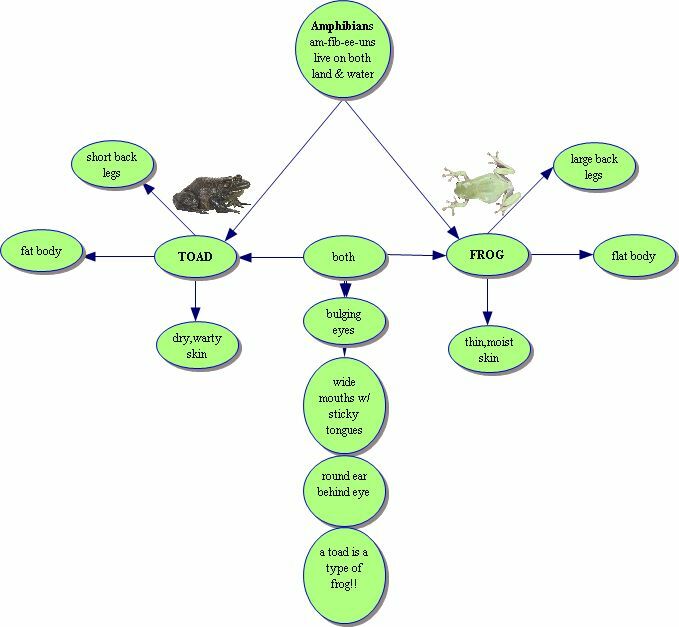 The evolution of Amphibians continued as they developed a number of adaptive features to stay on dry land for longer periods of time. Their skeletons became stronger and they grew hands and feet having 5 or more digits while the respiratory system improved to allow them breathe out of water. The skin of the animals gradually became able to retain body fluids and they also developed ears that enabled them to hear on dry land. The evolution also enabled them to locomote on dry land unlike their fish ancestors. Eventually the evolution completed and the modern day Amphibians came into existence. 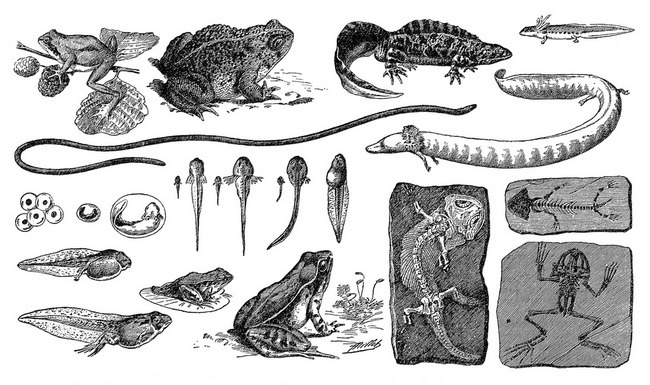 This order includes all the frog and toad species. The characteristic features of the animals in this order are the long hind legs that can be folded underneath the body, shorter forelegs, webbed toes without claws, glandular moist skin, large eyes and the absence of tails. 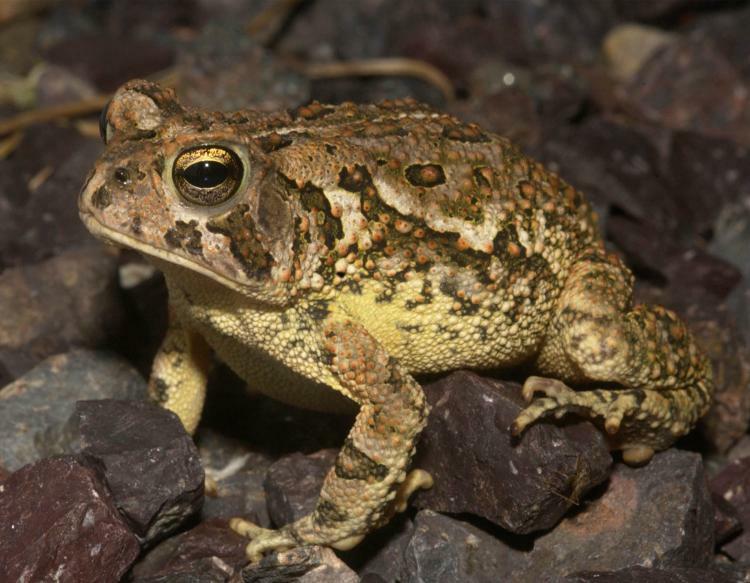 Frogs are distinguished from the toads by their smooth skin as the latter have warty skin. 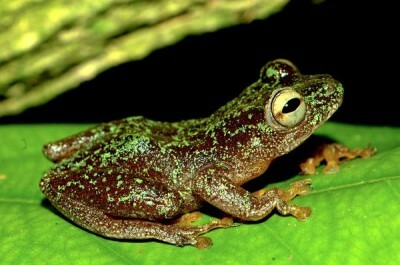 Anura is further classified into the suborders Archaeobatrachia, Mesobatrachia and Neobatrachia. 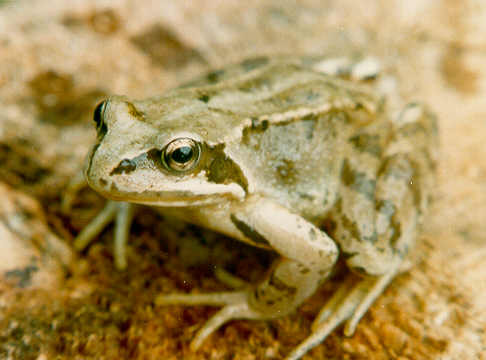 Archaeobatrachia consists of the four primitive frog families Ascaphidae, Discoglossidae, Bombinatoridae and Leiopelmatidae. 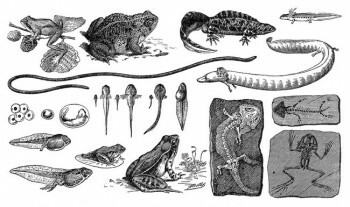 The Mesobatrachia suborder is more evolutionarily advanced and contains six families _ the fossorial Pelobatidae, Megophryidae, Scaphiopodidae, Pelodytidae and Rhinophrynidae along with the obligatorily aquatic family Pipidae. 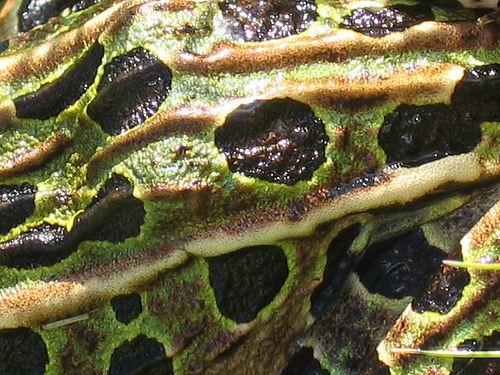 Neobatrachia is the largest suborder among the three as it contains all the remaining modern frog families. Approximately 96% of the more than 5,000 existing frog species are neobatrachians. 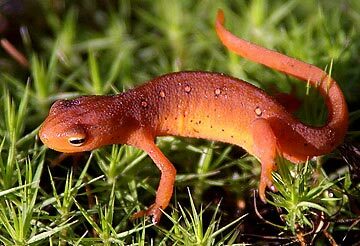 This order includes all the salamanders, Amphibians that resemble lizards in appearance. 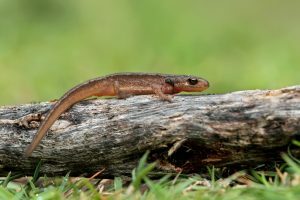 The resemblance is only a symplesiomorphic trait as the salamanders are not related to any lizard species. The main physical characteristic of the animals in this order are their scale-free skin ranging from smooth to tubercle covered, their long and laterally flattened tails and lack of claws. Many salamander species have finned tails. This order is divided into three suborders with the first one, named Cryptobranchoidea, containing the primitive salamander species. At present, the only extant species from the Cryptobranchoidea suborder are the Chinese Giant Salamander, Japanese Giant Salamander and the Hellbender. 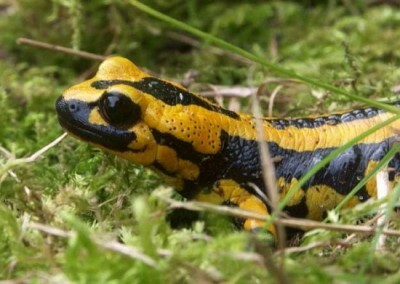 The second suborder Salamandroidea consists of the advanced salamanders. 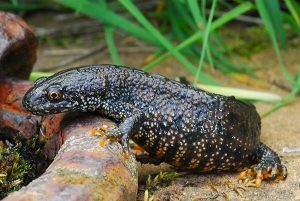 The true salamanders belong to the Salamandridae family in this suborder while the members of the subfamily Pleurodelinae are commonly known as "newts". 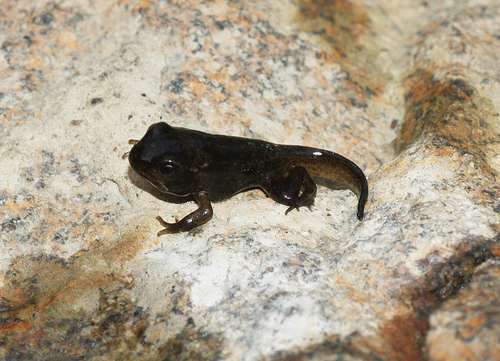 The Plethodontidae contains the lung-less salamander species which includes around 60% of all salamanders. The third suborder of the order Caudata includes the four siren species which collectively belong to the Sirenidae family. This order is also known as Apoda and is comprised of all the caecilian species. Caecilians are long, limbless and cylindrical Amphibians with a worm-like or snake-like appearance. Other distinctive features of these animals include the rudimentary eyes, transverse folds in their skin and the short tentacles located near their eyes. All the animals belonging to this last order of the Lissamphibia subclass are extinct. Their skin structure has certain characteristics typical among all terrestrial vertebrates. These include the extreme cornification of the outer layers of skin which is renewed sporadically through molting. Their permeable skin allows for fluid and gas exchange into their bodies, making it possible for the adult animals to breathe underwater. 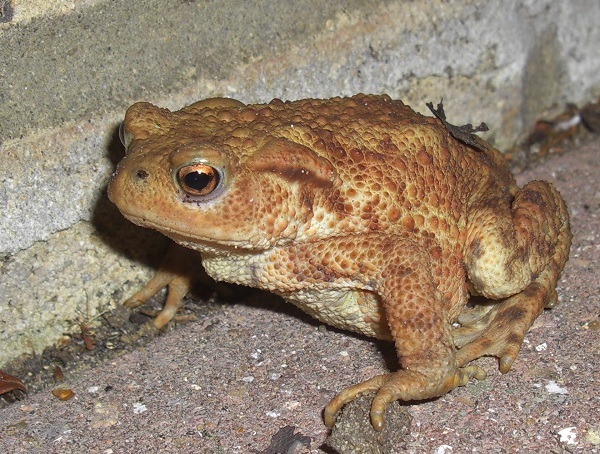 The mucous glands located mainly on the backs, heads and tails of Amphibians secrete fluids to keep their delicate and thin skin adequately moist. Additionally, many species have granular poison-producing glands like the paratoids. There are three pigment cell layers called chromatophores that are responsible for the skin coloration of these animals. The layers are comprised of melanophores, guanophores and lipophores. 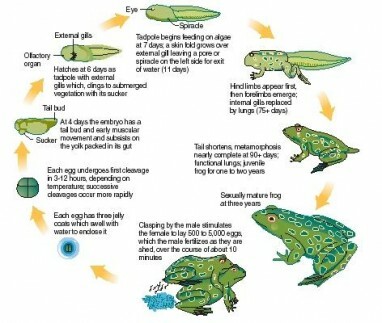 The characteristic color changing ability of some Amphibians comes from certain hormone secretion from pituitary gland. The vivid skin coloration of some species indicates their toxicity. 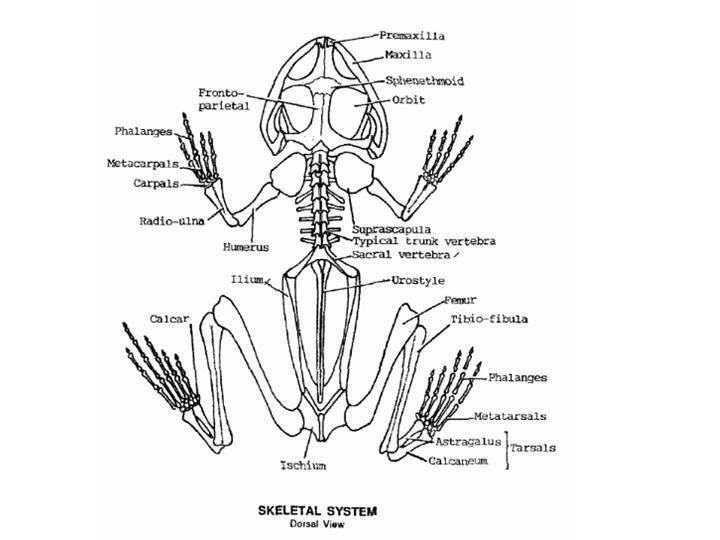 Their skeletal system is homologous to various other tetrapods. Most of the animals have four limbs with the exception of the legless Amphibian caecilians as well as certain salamander species. The lightweight, hollow bones are fully ossified with the vertebrae being interlocked with one another in an overlapping manner. Both the head and body are supported by the strong musculoskeletal system. The sloping ilium holds their bodies closer to ground compared to mammals. 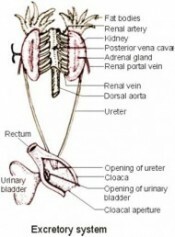 The circulatory system for their juvenile and adult stages is different from each other. It resembles the circulatory system of a fish during the juvenile phase with a two-chambered heart for pumping blood through gills to be oxygenated. After reaching adulthood, their heart becomes divided into three chambers _ 1 ventricle and 2 atriums. Their digestive system consists of a pancreas along with a liver and gall bladder. 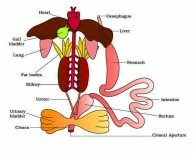 The liver generally has two lobes with its size depending on its function as fat and glycogen storage unit. The adipose tissue located in the abdomen is an important energy storage site. This tissue can also be found under their skin and in the tail (in certain salamanders). 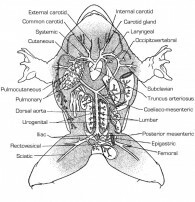 The two kidneys of Amphibians are located dorsally close to the roof of body cavity. 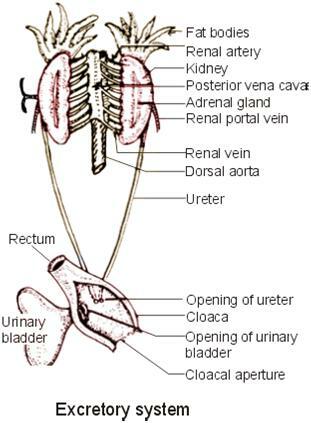 The main function of the kidneys is filtering the blood of all metabolic waste and transporting the urine through the urinary bladder to be stored as urine before being excreted through cloacal vent. 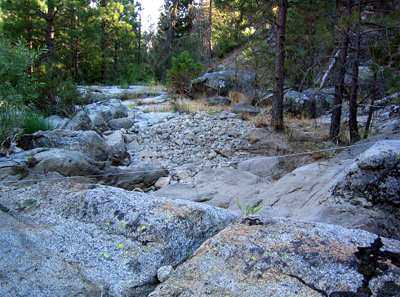 Nitrogen is excreted from the body as ammonia in dilute urine by the juveniles and many aquatic Amphibians. But the terrestrial species are known to pass the waste materials as urea which is comparatively less toxic. Their lungs are fairly primitive than those of amniotes, having few large alveoli and internal septa. Due to this reason, the lungs have a slow oxygen diffusion rate through the bloodstream. Buccal pumping is responsible for ventilation in these animals. The permeable property of the skin also helps with respiration. 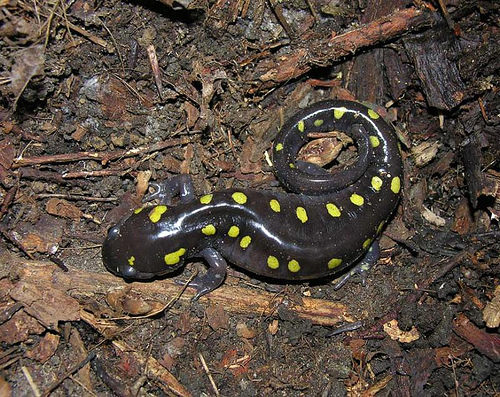 Some Amphibians, like the plethodontid salamanders breathe primarily through skin as they do not have lungs or gills. Various species carry out respiration through gills during the larval stage. 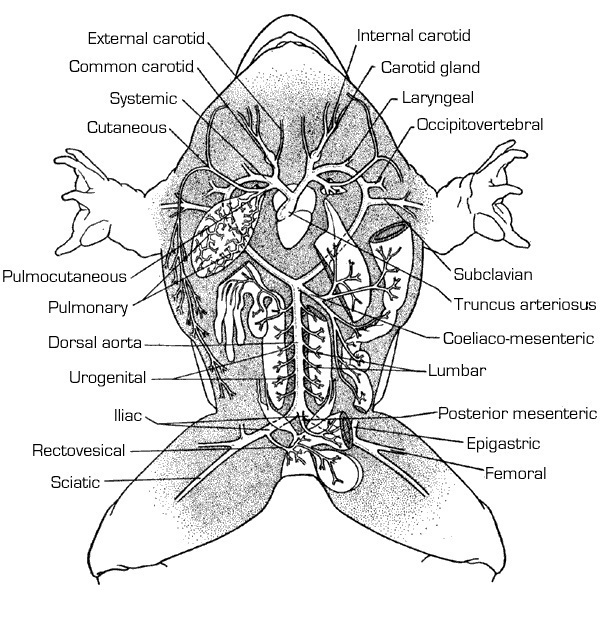 The basic anatomy of the nervous system is quite similar to that in other vertebrates. It comprises of a central brain, spinal cord and numerous nerves throughout their bodies. 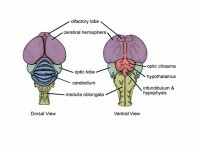 Their brains are not as developed as those of mammals, reptiles and birds. Rather, they bear similarities in function and morphology to the brains of fish. 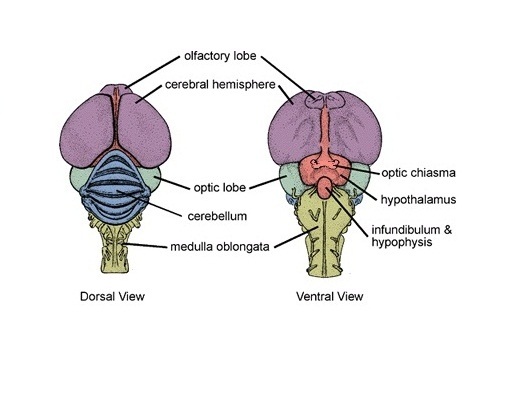 The brains are divided into three equal parts _ cerebrum, mesencephalon (midbrain) and cerebellum. Unlike amniotes, the eggs of Amphibians lack the hard outer membrane. Due to this reason, they need water bodies to reproduce for keeping the eggs and larva comparatively safe. Amphibians are cold-blooded (ectothermic) vertebrates that cannot maintain body temperature through their internal physiological procedures. They have a low metabolic rate which leads to a limited requirement for food and energy. All the species have movable eyelids as well as tear ducts during the adult phase. Most species have distinct ears and good hearing, being able to detect airborne and ground vibrations. Many species can protrude their muscular tongues for hunting purposes. 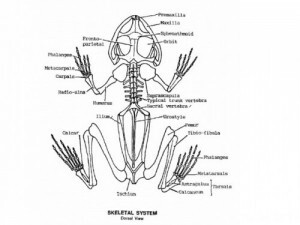 Modern Amphibians are characterized by their fully ossified vertebrae along with articular processes. Their three-chambered hearts are an important distinctive feature. 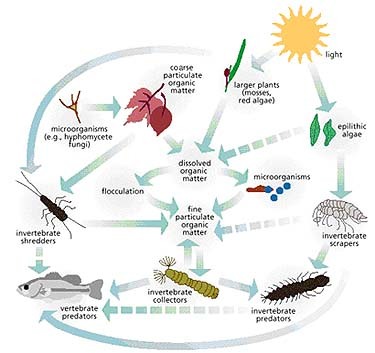 Most of these species lay eggs in water with the larva being aquatic. They undergo metamorphosis in water and become terrestrial adults. Another typical characteristic is their hinged pedicellate teeth. They can adapt to a wide range of habitats with majority of the species living within arboreal, terrestrial, fossorial and freshwater aquatic ecosystems. 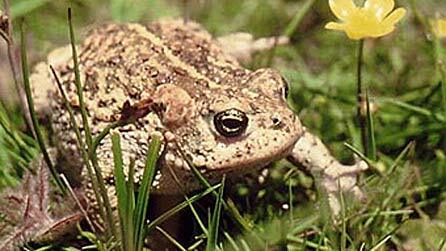 The habitat of terrestrial Amphibians is limited to moist environments as their skin needs to be kept properly moist. They can be found in forests, grasslands, wet meadows, lakes and streams. Some species, such as Fejervarya raja can live in brackish water; although, no true marine Amphibian has been found. Various Amphibians living in the tropic regions do not have a specific breeding season and can breed throughout the year. But, in the temperate regions breeding mainly takes place during spring with the triggering factors being rising temperatures, increasing day length or rainfall. Most of these species need fresh water for reproduction. But, some Amphibians can reproduce terrestrially as they have developed different means of keeping their eggs moist on land. There are many tropical frog species that are capable of breeding without standing water. 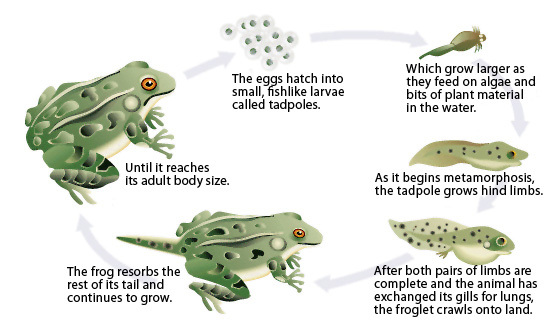 The tadpole phase of these species is completed within the eggs that hatch into young frogs resembling the adults in appearance. Majority of the frogs inhabit the wet tropical rainforests. Caecilians reproduce through internal fertilization which is likely to take place within the oviducts of the females. Frogs generally use external fertilization with a few species, like Ascaphus truei (Tailed Frog), engaging in internal fertilization. In most species, the female frogs lay the eggs in water while the males fertilize the eggs by releasing sperm onto them. 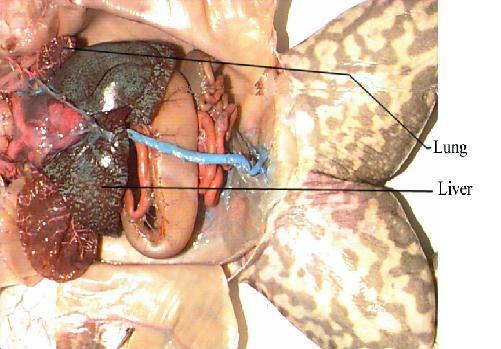 Salamanders are known to exhibit internal fertilization. 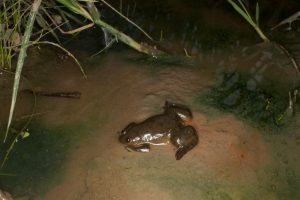 But some primitive salamanders from the Sirenidae, Cryptobranchidae and Hynobiidae families engage in a similar process of external fertilization generally used by frogs. The eggs are usually bound together by certain transparent gelatinous secretion from the oviducts, containing mucopolysaccharides and mucoproteins. Sometimes, the eggs are laid in the form of string or are attached to underwater plants after they are laid individually. The eggs of terrestrial caecilians are laid in burrows close to water-bodies in the forms of grape-like clusters. The hatchlings of most Amphibians go through metamorphosis once they come out of the eggs. Typically, the offspring of these animals are aquatic with external gills and need standing water-bodies in order to metamorphose into adults. The process is controlled by the thyroxine hormone that triggers metamorphosis and prolactin that counteracts thyroxine's function. The juvenile animals often have various adaptive features for surviving, including fins, sensory lateral line resembling those in fish and horny ridges in place of teeth. These organs are re-absorbed through apoptosis (a process of controlled cell death) once the metamorphosis completes. The adults are usually carnivorous, feeding on small and slow-moving insects such as caterpillars, beetles, spiders and earthworms. The large Amphibian species are known to eat any insects and animals that fit into their mouths. Their diet may consist of small mammals, reptiles and fish. Some large species even feed on smaller Amphibians. Certain species may eat fruits and plant materials. Newly hatched frog larva feed on the egg yolk as well as on detritus, algal crusts and some aquatic plant materials. Some carnivorous tadpoles even display cannibalistic behavior. 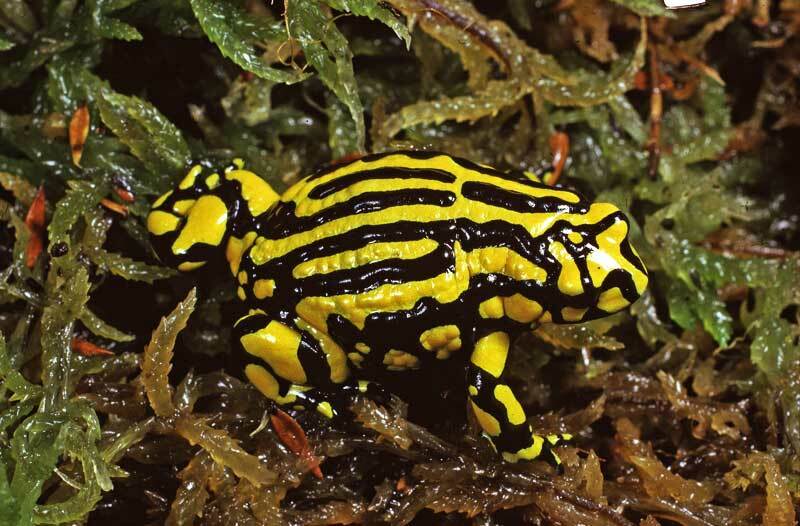 Amphibian populations all over the world have been facing dramatic decline in their numbers since late 1980s. Many species have become critically endangered or have even faced extinction. Their decline is considered to be a critical threat to the global biodiversity. According to studies carried out in 2006, around 4,035 Amphibian species existed that required water at some point in their lives. Approximately 1,356 out of the 4,035 species were included in the threatened category. However, this statistics is very likely to be underestimated. There are various threats to their existence, including habitat loss, pollution, ozone-layer destruction, climate change and introduction of new species.